We can’t wait to help you find the dress that’s your perfect match. Picking a wedding dress is a big deal, we know! We want to make it fun and easy for you, and scheduling an appointment helps us ensure you get the attention you deserve. Here’s how to make your dress-shopping date amazing. Mark what catches your eye so we’ll know your style. Not sure yet? Our stylists are great matchmakers and have a knack for figuring out what’ll look incredible on you. Make your appointment a few months before the big day. This gives you the widest selection (some styles are special order only) and leaves time for alterations. 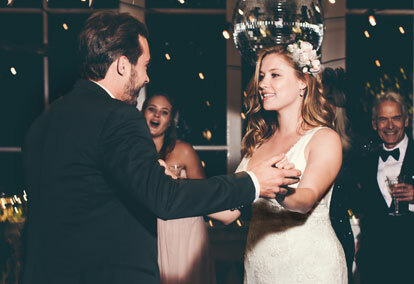 Weekends are full of fun—and brides—so your stylist may be helping another customer, too. If you prefer a quieter experience, schedule on a weekday. It helps to bring a friend or family member for opinions (and oohs and aahs). Your stylist can help you pick out lingerie, shoes, accessories, and anything else you need. Once you’re all set, make appointments for your bridesmaids and Mom!